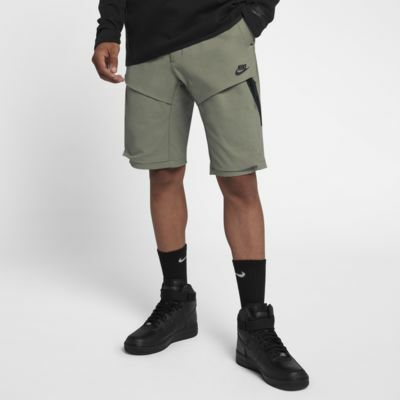 The Nike Sportswear Tech Pack Men's Woven Shorts upgrade a classic design with modern details. Made from lightweight twill, they feature multiple pockets for storage and darting on the back to enhance their technical look and feel. 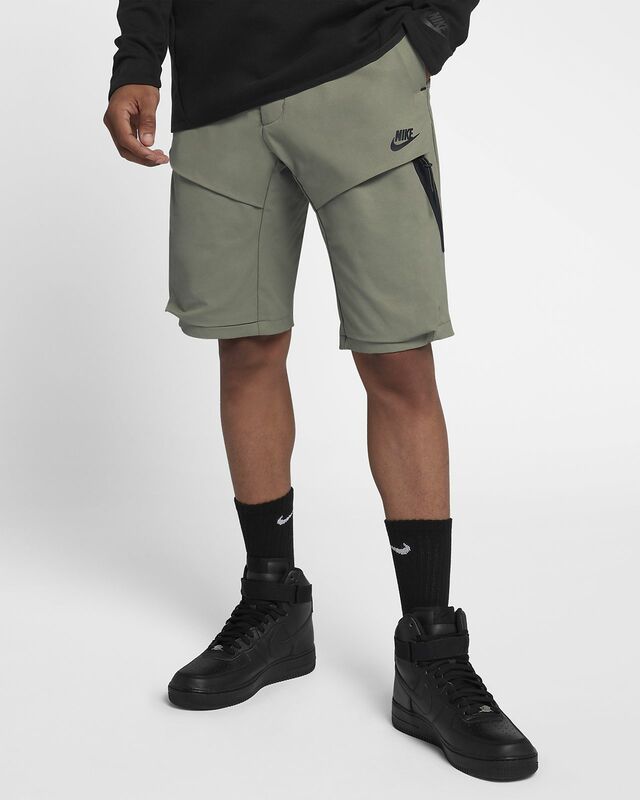 The Nike Sportswear Tech Pack Men&apos;s Woven Shorts upgrade a classic design with modern details. Made from lightweight twill, they feature multiple pockets for storage and darting on the back to enhance their technical look and feel. Fashioned from lightweight, stretchy twill fabric, the shorts are designed to fall at the knees for a modern vibe. A press-stud closure and zipped fly keep the flat front clean and trim, while an adjustable drawcord perfects the fit. A secure zipped pocket, roomy cargo pockets and handy side pockets stash your stuff. Fabric: Body: 49% nylon/46% cotton/5% elastane. Upper pockets: 80% polyester/20% cotton.